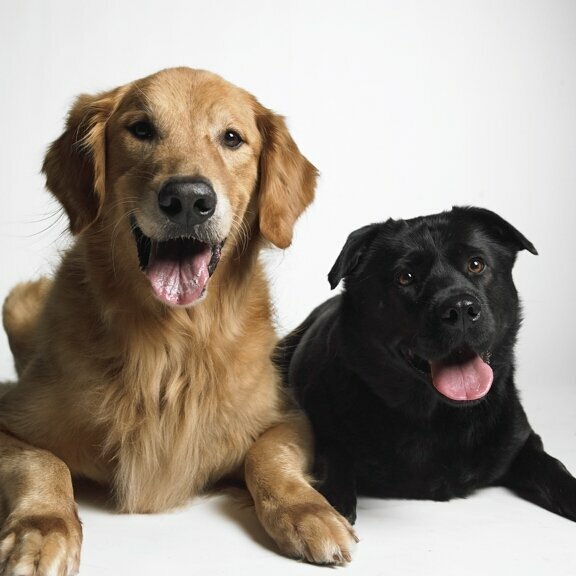 Gus and Codi sit pretty. 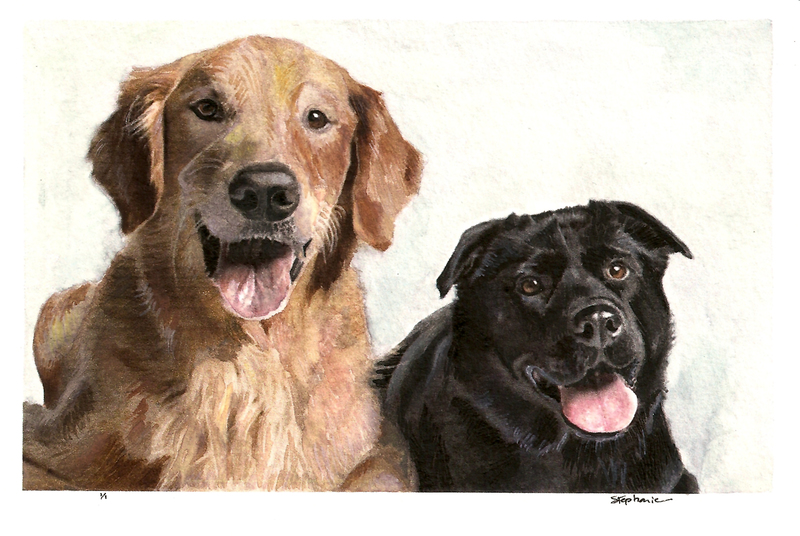 The November Animal Print request of Gus, a Golden Retriever, and Codi, a Labrador mix, was a request from Los Angeles, CA. A holiday gift for a friend in Atlanta. Gus and Codi - DONE. AJ facilitates Gadora throughout her day… in many, immeasurable ways. Occasionally he noses around the office as I paint, nudging me for a little TLC. 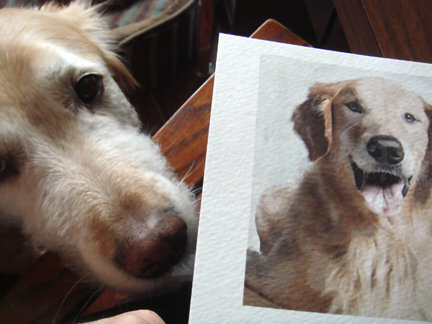 Here, he inspects the beginning stages of Gus and Codi’s watercolor. Gadora cropped the canine’s photo so the finished product would be a landscape (horizontal)—a close-up of their happy mugs. Looking forward to hearing more about Gus and Codi, Melissa, and how your friend likes her new favorite piece, and how she might display her pooches. Wink. Posted on January 14, 2010 January 14, 2010 by gadorawilderPosted in ANIMAL PRINTSTagged animal print, Golden Retriever, Labrador, water color. Next Next post: M Chan loves his Nana.